 Masterguard is an authorised dealer for Rheem Solar Hot Water leading brand in the industry. Today Rheem are the largest appliance manufacturer in Australia, manufacturing over 70% of all Australian made water heaters. The nation’s - and world’s - focus on renewable solutions has also seen Rheem develop its next generation water heaters. We have played a major role in facilitating the transition in Australia to more energy efficient and environmentally friendly water heating solutions. A Rheem stainless steel hot water system is an excellent environmental and financial investment. 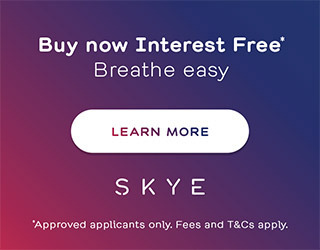 It can significantly reduce fossil fuel energy use and consequent pollution and greenhouse gas emissions. Not only are you helping the environment by installing a Rheem stainless steel solar hot water system, you could also enjoy substantial savings on your household hot water energy use of up to 73%. If your home is in the tropics, you could save up to 85% of your hot water energy use*. 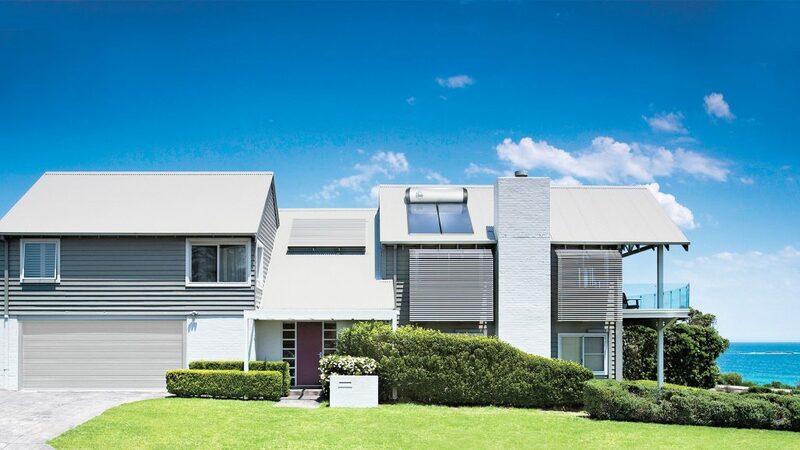 Which system you choose will depend on where in Australia you live, which way your home faces and even the pitch of your roof. 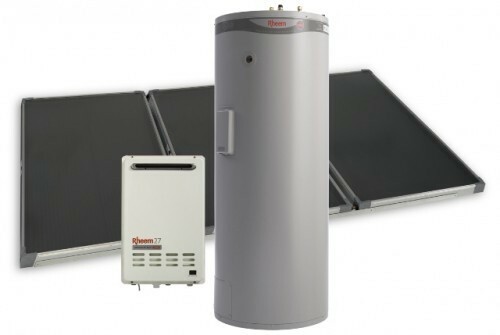 So it’s important to talk to your local Rheem Solar Specialist about the Rheem hot water system which is ideal for you. There will be days during the year when your solar system doesn’t receive sufficient energy from the sun to provide all the hot water you need. Rheem gives you the option to have either an in tank electric element booster or a gas in-line continuous flow boosting unit. The choice is yours; ask your local Rheem Solar Specialist which option would be best suited to you.